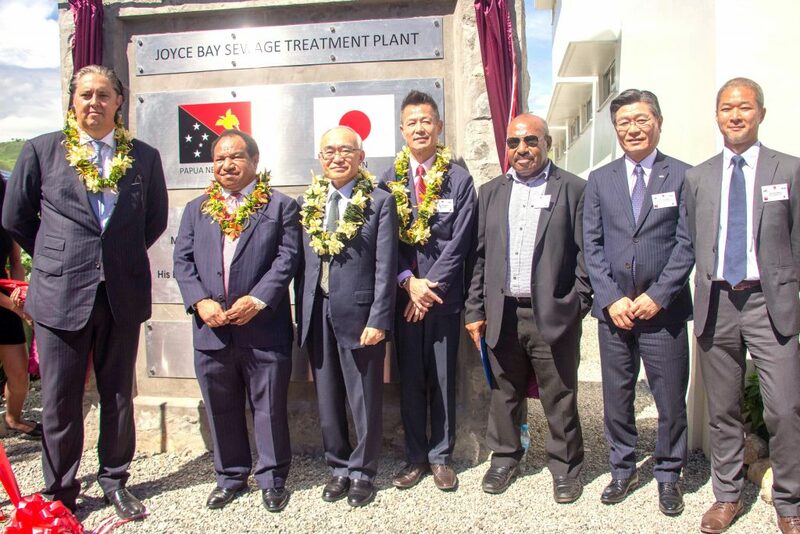 Friday 29th March, 2019 – Port Moresby: A state-of-the-art sewage treatment facility constructed under the Port Moresby Sewerage Systems Upgrade Project (POMSSUP) has been commissioned by the Minister for Public Enterprises and State Investments William Duma and the Japanese Ambassador to PNG Satoshi Nakajima in the Joyce Bay area of Moresby South. 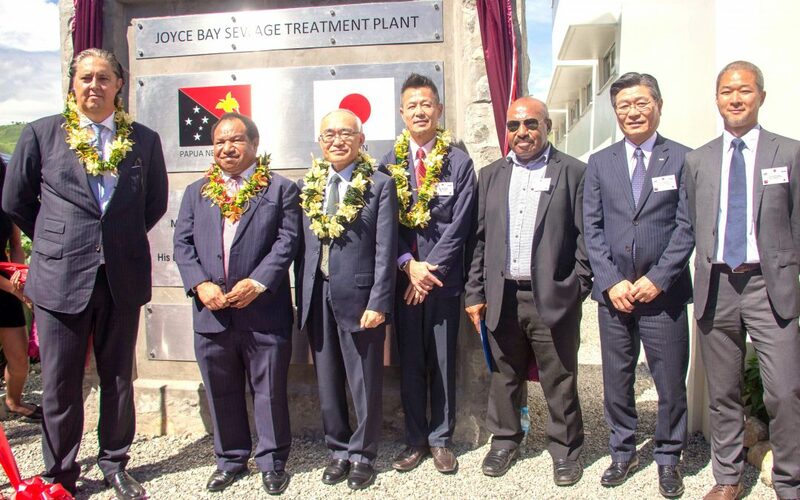 The K410 million facility was jointly funded by the Government of Japan through its international development partner agency, Japanese International Cooperation Agency (JICA) and the Government of Papua New Guinea. During the inauguration ceremony Minister Duma said the project allowed for much needed development and rehabilitation to the existing sewer system. “The nation’s capital has witnessed rapid population growth brought on by an influx of rural to urban migration and an increase in socio-economic activities. The city now has a population of over 800, 000. This has put a lot of pressure on one of the most vital infrastructures in city; and that is the sewerage system where substantial increase to the volume of untreated effluent was being discharged into the sea. “The Port Moresby Sewerage System Upgrade Project was initiated to address the issue at hand. In a show of economic and social co-operation, both Governments of Japan and PNG entered into an arrangement to rehabilitate the existing sewerage infrastructure,” Minister Duma said. On behalf of the PNG Government, Minister Duma extended a word of gratitude to the Government and people of Japan for the assistance in yet another project of national significance. The treatment plant itself is designed to treat 18.4 million litres per day, and comprises 13 pumping stations, a sewerage network of 26km and a 1.2km ocean outfall. The plant is built to the highest international standards for waste water treatment and will further protect the Papuan coastline as a pristine maritime environment for generations to come. Kumul Consolidated Holdings was the project’s implementing agency and Eda Ranu will now be the operator of the multimillion kina facility following its inauguration. (L-R): KCH Managing Director Darren Young, Public Enterprise Minister William Duma, Japanese Ambassador to PNG Satoshi Nakajima and distinguished guests during the inauguration ceremony at the plant site.